There was a time when the warmth of the emotions spread from the table. When the housewives got up early in the morning to repeat an old ritual made of simple and skilful gestures. 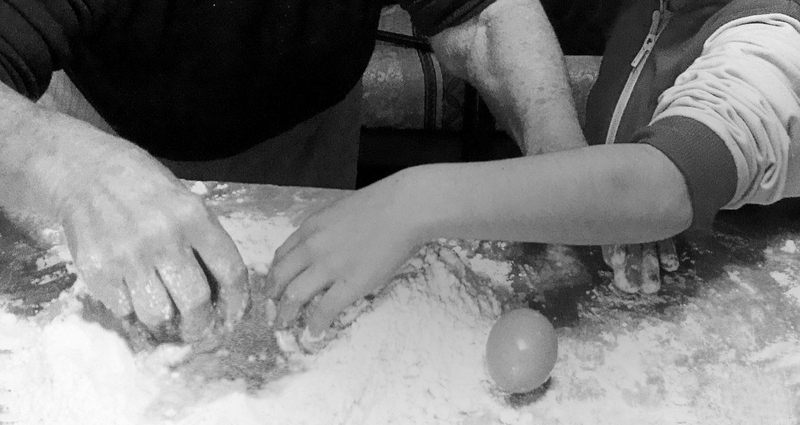 There was a time when grandma Adelina, with her rough and expert hands, kneaded the durum wheat semolina and the eggs. She rolled the dough with a wooden rolling pin until she obtained thin, soft, and golden sheets, that she let rest over cotton cloths. She then proceeded to cut the sheet into very thin strands that –on a closer look- seemed like “angel’s hair”, and she let them dry in an aired room. That’s the famous “Sunday pasta”: the Maccheroncini of Campofilone. When the Sunday tasted like holiday. It comes the moment when the craft has to be passed down to the next generation. It was the same for the Marcozzi family. 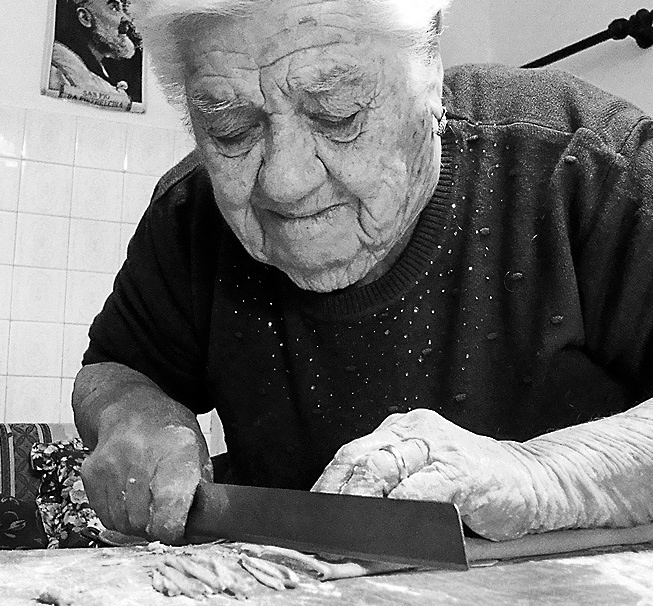 Driven by a strong passion, the three siblings – Gabriele, Barbara, and Attilio – learnt the craft of the egg pasta of Campofilone welcoming with love the old secrets of grandma Adelina. From this point to the opening of the Marcozzi first artisanal workshop it was a short step. The success with the public encouraged the family to take the business to the next level. And so the Marcozzi di Campofilone pasta maker was born: a modern company, where the artisanal care walks alongside the technological evolution. A company that keeps up with the new needs of the consumers, with a range of specialities that keeps expanding and diversifying. Year after year, the Marcozzi pasta increased its reputation till it became a pasta known and appreciated in the whole world. From the small town of Campofilone to the tables of the whole World. The Maccheroncini of Campofilone are born from the craft tradition of the small medieval town of Campofilone. The story tells that, in the old times, the eggs were not always available. 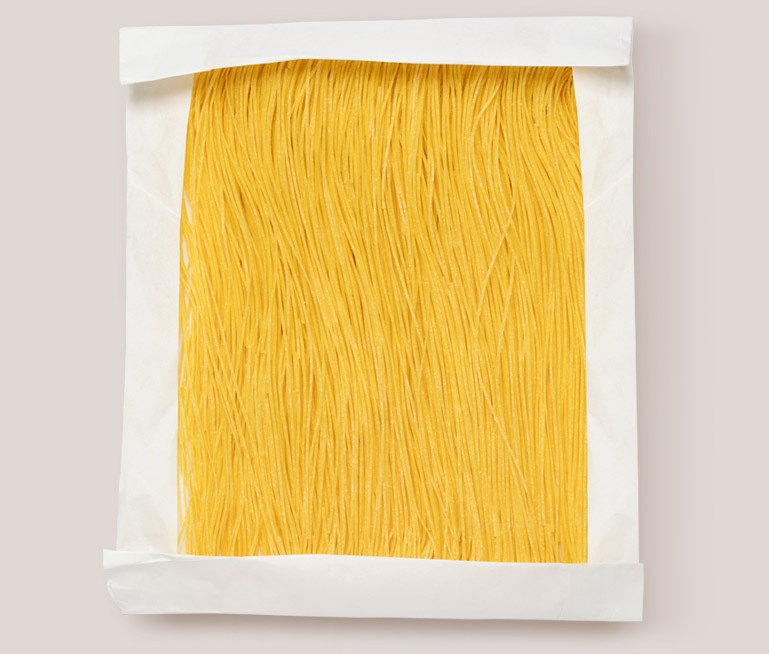 So the housewives came up with an egg pasta, dried in order to preserve the eggs; cut into thin strands, and then kept in the cupboards to be consumed during the year. At first, the Maccheroncini of Campofilone were a dish for the festive days, or a refined gift for distinguished friends. The Maccheroncini of Campofilone has already been known since the ‘400, related to the Benedictine abbey of Campofilone. They were a speciality that was served to the bishops during the Council of Trent in 1560. During the ‘700 they became the protagonist of the recipe books of noble families, and they were also mentioned by the poet Giacomo Leopardi as one of his 49 favourite dishes. And we arrive to the present day, where every year (since 1964) the “Sagra dei Maccheroncini di Campofilone” (Maccheroncini of Campofilone Festival) takes place, lure for thousands of tourists. The famous history of the “Angel’s Hair”: the Maccheroncini of Campofilone. For the Marcozzi di Campofilone pasta, the origin is everything. That’s because everything is born in a land of unparalleled tradition, in fertile farmlands of the medieval town of Campofilone. 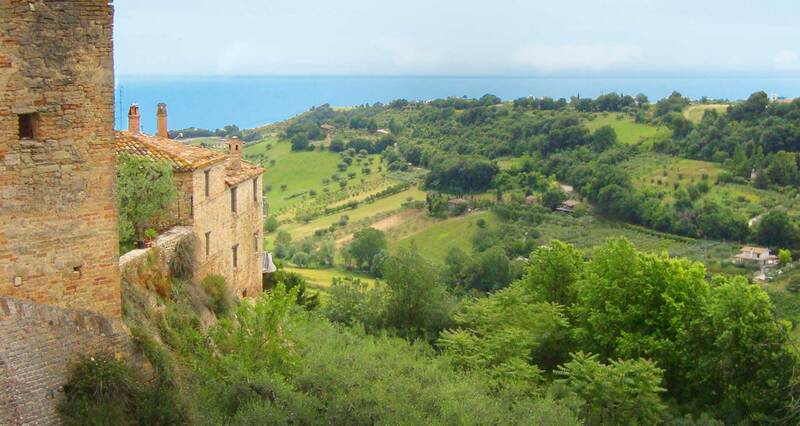 A picturesque little town of the Marche region hinterland, whose name come from “Campus Fullonus”, land of dyers and washers (7th century BC). A land always involved with craftsmanship, that found its ultimate expression with the egg pasta of Campofilone. The typical taste of an authentic land.